If you have determined that the cron job is not completing in the previous article and are familiar with using the server's Command Line Interface (SSH), this guide shows how to identify the cause. The cron.php script contains a number of options which can be called most easily via the server's command line, one of which increases the verbosity of the output. This can be helpful in identifying any errors which might be occurring. The all command will execute all the tasks. The -vvv option sets the output verbosity level to maximum, meaning everything which can be output will be output. 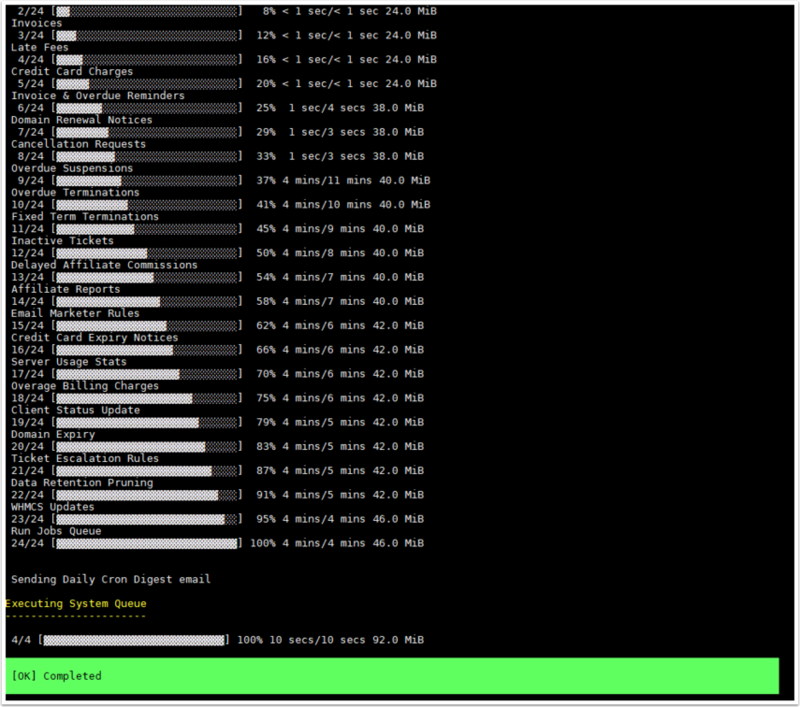 On screen you will see the cron.php script progress through all 24 tasks and return a green [OK] Completed message at the end. The above screenshot shows a successful execution. Any errors which might be output on-screen can be used to identify the cause of the cron not completing. Explanations of common errors are available in our documentation. 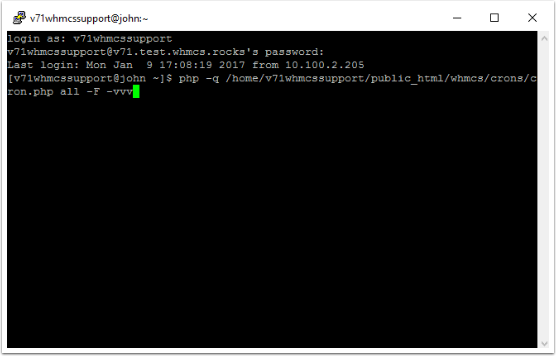 WHMCS technical support can advise on the solution to errors which you may encounter, please include the full output when opening a support ticket.